The Client and Location Messaging feature in Janitorial Manager allows managers and key personnel of cleaning organizations to keep in communication with staff and even give the ability for clients to chat with their cleaning team. JM Connect helps your cleaning team stay organized and efficient with their time! Learn MoreSee This Feature In Action! Keep Track Location Messages To Reference From Any Phone At Any Time. 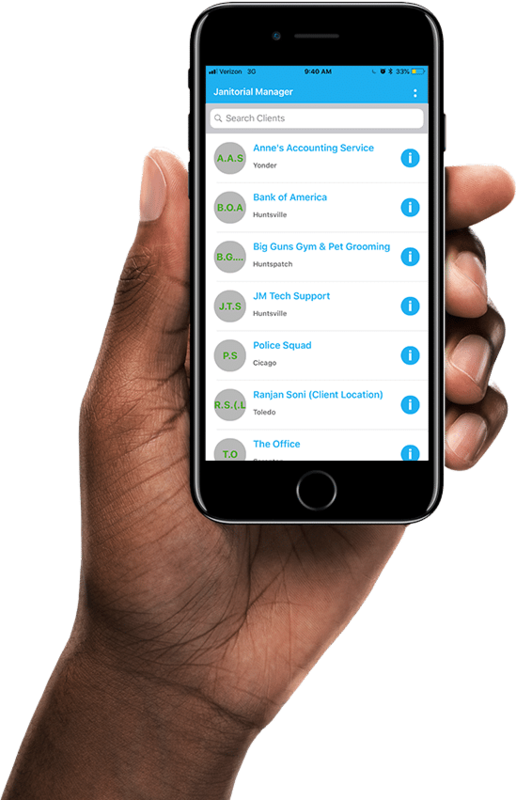 See What’s Going On At Each Location And Allow Clients To Contact You – At Any Time! 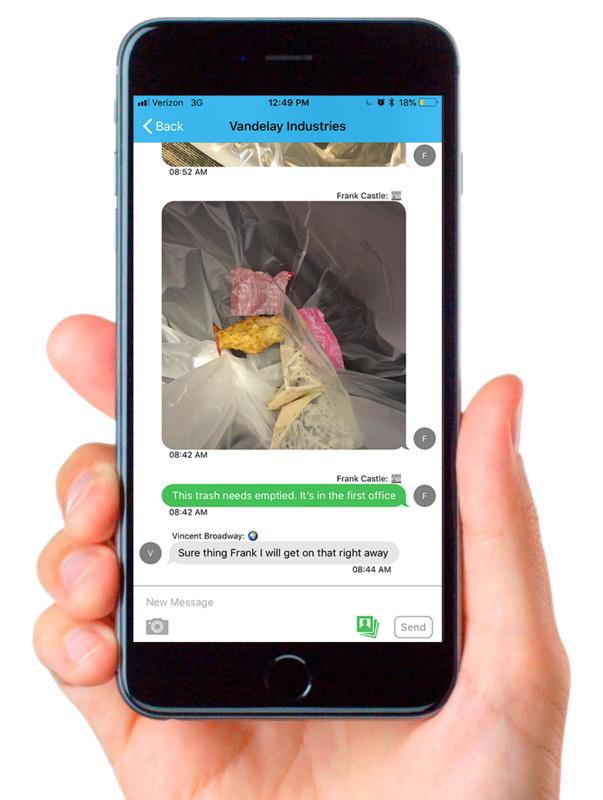 Location messaging is vital to keeping cleaning teams up to date with each location. 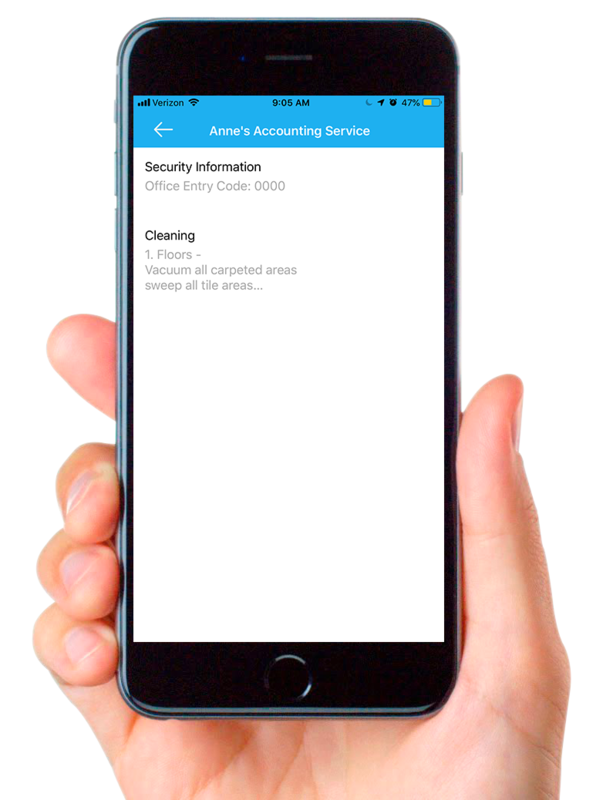 This feature allows managers and cleaning staff to communicate in an organized fashion rather than via SMS text message or even take the place of keeping a notebook at the location which can sometimes be lost. The Location Messaging feature also stores chat history in the file of the location as a reference point for management to see what was discussed or fixed at a location if you have to look back following an issue or event. Currently, cleaning teams can struggle with documenting different issues that they find in the cleaning process. With the image capture function of the Client and Location Messaging feature is so easy to use too! Simply be in the Location message or in a chat with a manager and point and click. Each image is also stored in the location database in Janitorial Manager to reference at a later date if needed. This organization of content helps management keep better track of each location to make sure it is being cleaned properly but also allows them to be able to coach employees. Keeping cleaning instructions organized for your team can sometimes be difficult but that confusion ends with JM Connect. In Location based cleaning instructions now are linked with specific locations to help stay as organized as possible. These instructions can also be bilingual to help cleaning teams who prefer to use another language other than English. These instructions can only be edited by management and can be typed and linked using the browser version of Janitorial Manager. Janitorial Manager gives staff members the ability to clock in and out using geolocation. This feature will not allow the employee to check in or out unless they are within the geofence (set by the manager or owner of the company) of the location they are supposed to clean. This feature also gives the manager the ability to track employees’ travel time to each location on their schedule. If a staff member doesn’t have the ability to use their location setting on their phone, there is an option for a manual clock in and out. Review time cards in live time before pushing them to payroll and your billing system. No more manual work in calculating how much an employee earned. Janitorial Manager’s customers can see and edit submitted time cards to ensure consistency. If you don’t want to log into the system, you can export the current time sheets to do any immediate cleaning. Customized inspections can be filled out in the field. Administrators can make sure inspections meet company standards. Allows direct communication between you and your clients. This feature allows you to use your own branding and keep in contact with your customers. Allows administrators to track employee performance and attendance. You can also take a detailed look at employee performance over the year. Create, track, and manage work orders. You can filter orders by quoted, scheduled, and completed. This helps better manage a job’s ROI.